How do you run one piece of PR activity for a Super Hero video game that excites media from all over the world? Well, in an IDEAL world, you would take them to the home of Super Heroes and make the entire trip a theatrical experience – letting them step into the world of the game and of their favourite comic books. Then, you’d generate some universal, stunning content to take the coverage out of its firm home in the gaming and technology pages and slap it all over national TV and the national and lifestyle pages. 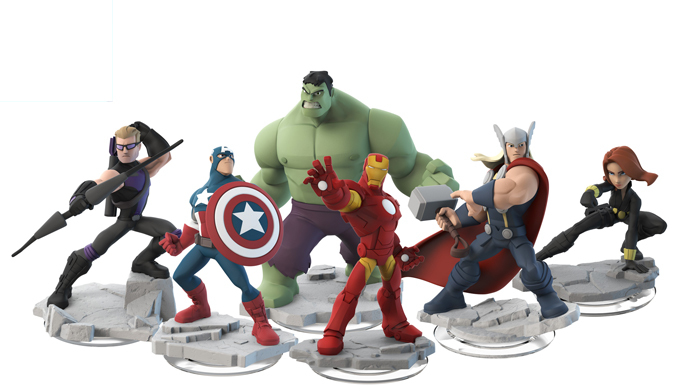 With the support of our astoundingly brilliant client, Disney, that’s exactly what we did for the launch of new Disney video game: Disney Infinity 2.0: Marvel Super Heroes. We invited top, top journalists from Canada, Australia, Germany, France, Spain, Dubai, Netherlands, Belgium and South Africa to meet us for an adventure played out against the stunning backdrop of New York City. The whole experience was based on the story from the new Avengers Playset and involved Tony Stark, Spiderman, mysterious fortune tellers, scientists, a superhero store, a frozen hideout and betrayal from their friendly, neighbourhood… photographer? Oh, and saving the world, of course. Sprinkle in a first play of the new game and interviews with some of the biggest names at Marvel and Disney Interactive (Including Mike Marts, John Vignocchi, Peter Phillips and Bill Roseman – the man behind Guardians of the Galaxy) and you’ve got a pretty compelling reason to cover Disney Infinity 2.0. The results? Astounding. It’s still rolling in, but some of the highlights include two pages in Belgium’s biggest French speaking newspaper Sudpresse, a four minute slot on Australia’s most watched Saturday breakfast show, three pieces of broadcast coverage on South African TV, including this one on their top breakfast show, four pages in Germany’s IGM, a full feature on Spain’s Meristation and many more besides. Overall? A huge success. As many of the journalists said to us – the best press trip they have ever been on. Even better? A delighted client.